Eating on Devon Ave can be kind of overwhelming for the uninitiated, which -- congrats -- you no longer are (! ), thanks to this Devon Ave guide. It breaks down the best spots to get your fill of curry, biryani, samosas, and more around West Rogers Park. If you’re looking for the best bang-for-the-buck during lunch hours, you can’t go wrong with the buffet at Viceroy. 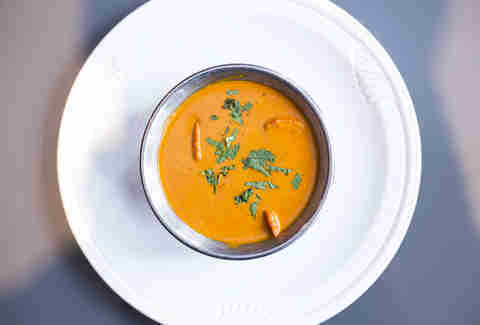 You’ll find a number of traditional vegetarian and carnivorous options, such as saag paneer, tandoori chicken, and the always-popular butter chicken -- a classic chicken recipe smothered in creamy, buttery, rich tomato sauce that’s a staple in just about every Indian kitchen. Another must-hit on Devon Ave, Tiffin's dining room and décor are a step up from other places on Devon (sweet sky mural, bro), and they deliver on the name, too (Tiffin is slang for second breakfast), with a stacked lunch buffet. 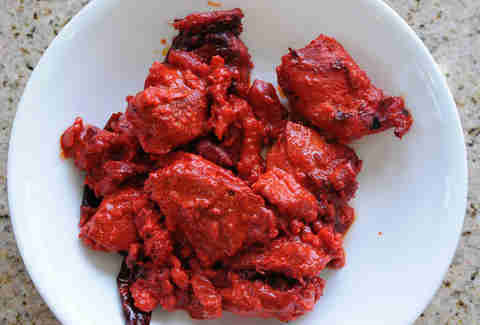 All of the standard fare is phenomenal, but the char-grilled chicken tikka masala is phenomenal-er. 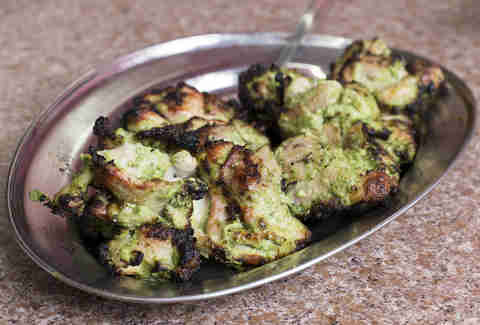 BBQ might not be the first thing that comes to mind when you think of Pakistani cuisine, but it's definitely the second, or at least it will be once you've dipped your beak into Khan's chicken boti. Tender, juicy chunks of boneless dark meat are charred and marinated with all the right spices, and covered in a green sauce that’s delicious. Like other South Indian restaurants, Mysore Woodlands focuses on 1) vegetarian-friendly cooking, and 2) humongnormous portion... which means veggies in curry and pulav, alongside traditional appetizers like dosa, poori bread, and samosas. 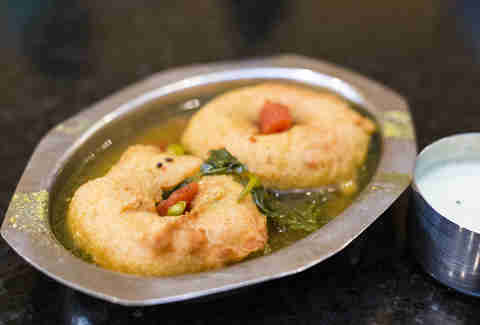 Whatever you do, don’t skip out on the rasa vada (aka fried lentil donuts) that're flat made for dipping in rasam, a sour & spicy soup. Hema’s has made a name for itself as one of the best Indian restaurants in town, and is deep in the conversation for most authentic spot in Chicago, thanks to Hema Potla -- who's been serving her home-style cooking to the neighborhood for more than 20 years. 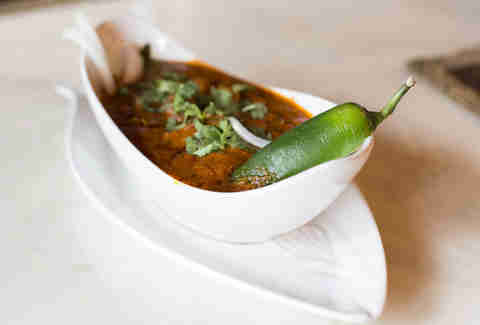 Bonus for spicy food lovers: they’ll make any dish as hot as you want, including the lamb vindaloo, which they'll bathe in a flaming hot gravy with potatoes, coconut, and curry leaves. Double bonus for people who like alcohol: it's BYOB! The meat-sweats-free menu at Udupi Palace offers a slew of veggie curries (the chana masala and baingan bharta are both awesome), and serious heat in virtually every menu item. 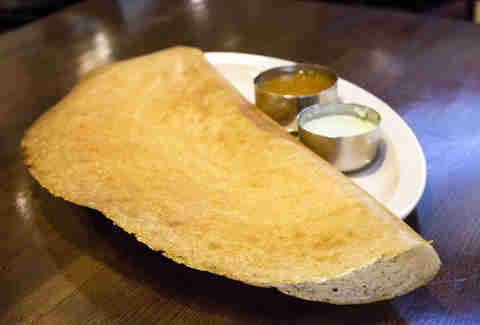 Make sure to order their dosa: a long rice and lentil crepe filled with stuff like potatoes and chutney. 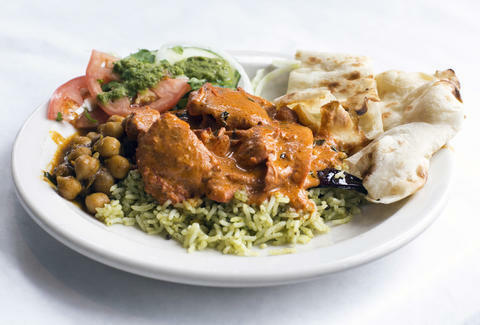 Located a little more East than most of the other restaurants on Devon Ave, Ghareeb Nawaz is a hole-in-the-wall serving Indian fare that won’t break the bank (literally, everything on the menu is less than $5). 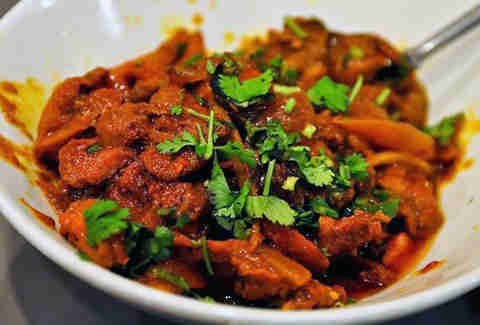 The traditional biryani and curry items are all done really well, but the move is the chili chicken -- boneless, deep-fried chicken pieces marinated in enough spices to give them some real kick. Oh, and the restaurant is open 24hrs a day. So there's that. Go to Sabri Nihari for the charcoal-grilled items, and stay for the chicken charga -- a deep-fried, whole chicken marinated in spices that’s enough to feed several people. Then stay EVEN LONGER for the Frontier Chicken -- a Northern Pakistan classic where boneless pieces of chicken are slowly cooked with a balanced mix of tomatoes, onion, green pepper, ginger, garlic, cilantro, and herbs. Don't be scared off by the vegetarian-exclusive menu -- Uru-Swati's South Indian focus also means generally spicier everything, and a greater emphasis on rice & the use of coconut, chilies, onions, and curry leaves. 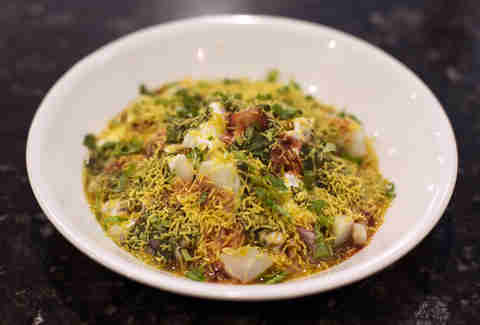 And if, for some crazy reason, mixed vegetables in curry doesn't do it for you, just load up on samosa chaat, a variation of the famous fried pastry mixed with chick peas, potatoes, and chutney. There's a reason this spot is last on the list, and that reason is the dozens of Indian desserts you'll find there, from cakes and cookies to specialty sweets like gulab jamun (milk-based dumplings) and halwa (dessert pudding). 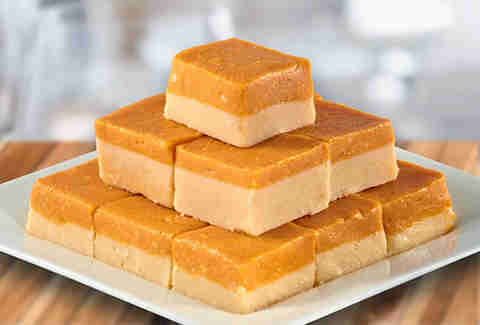 The barfi is also a favorite: a condensed milk & sugar confection with flavors like pistachio, mango, and chocolate. Jeffy Mai is a freelance writer who's a little too obsessed with Chicago and food photography. Follow him @jmai.